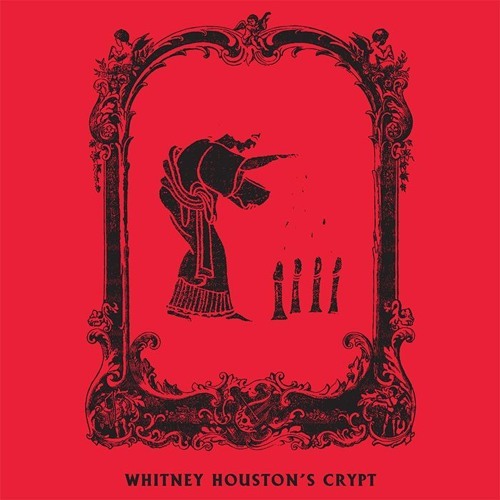 Whitney Houston’s Crypt dabbles heavily in a terrifying genre of visceral, crunchy punk. Vocal chord shredding howls and shrieks are exorcised over noodling guitars, thumping drums and throb. ‘Hatoful Boyfriend’ was put on the band’s Bandcamp in August last year, but it is coming out soon on a 7” EP through Vacant Valley, so here it is. The song is murderous, it’s screaming bloody murder, it’s murder to the mind and it’s nightmarish to the extreme – but y’know it’s pretty fun, despite the brutality. I can’t really unveil much else about the track or its intentions. The vocals are largely indecipherable here –they just form part of the machine that crushes your psyche for a sharp two minutes and fifteen seconds. Not everyone is gonna jive on this effort from the Newcastle death-wave five piece, but if you prefer your cuppa tea with a bit of something extra stiff added then you might just get down with the savagery.